Suicide Squad director David Ayer just tweeted this image out, so I guess we’re supposed to believe it’s how Jared Leto’s Joker will look in the upcoming DC villain mashup movie. I’m not exactly a huge Batman fan, so I feel like I haven’t really earned the right to be incensed about this, but my reaction to this image can most accurately be described as immediate revulsion. I can’t even tell if it’s Jared Leto in the photo. Is that a prosthetic on his nose? Are the tattoos Photoshopped on? Is this just concept art? What the hell is with those awful silver teeth? 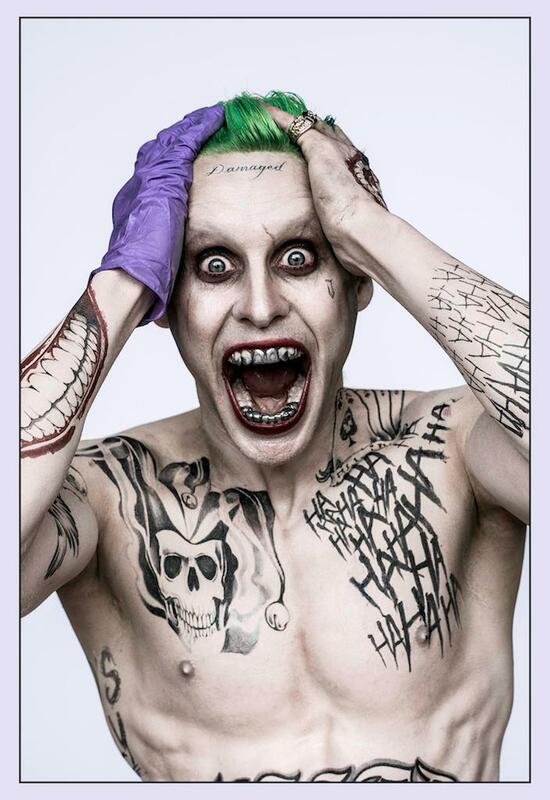 This is like Joker meets Die Antwoord. Urgh. No. Thanks to forum user McNooj82 for bringing this to my attention. I’m almost sorry I had to bring it to yours.